George begged friend photographer Astrid Kirchherr, to let him use her work in his book because Paul McCartney and John Lennon would become ‘very rich’ and more successful than him. The letter, from 1963, in blue ballpoint pen and on Palace Court Hotel headed stationary, has now been put up for auction with Bonhams. 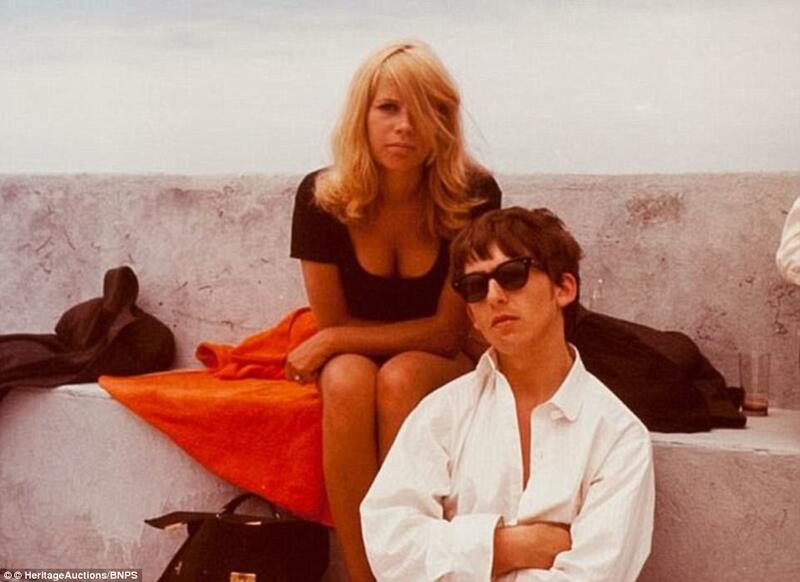 He sent the letter to his friend, well-known German photographer Astrid Kirchherr, who had just taken intimate pictures of the group during a trip to Tenerife in 1963. Harrison, who went on to make around £300million, revealed in his letter that he was going to write a book about the band to ‘make money’. In the letter, he boasted about buying a new Jaguar car but begged her to send him the pictures so he could use them in his book. He wrote the letter while staying at the Palace Court Hotel in Bournemouth, Dorset, where the Beatles were on a six-night residency of the town’s Gaumont Theatre. Fat Betty has seen all the Happy holiday Photo’s, hasn’t she? but I haven’t, oh no – you won’t show them to me will you! You know that Paul and John are going to be very rich soon, when they collect the money they have made by writing all those songs, and I don’t think that you would like to see me poor and hungry, so I have decided to make a book. It won’t be a DA SADE type book, but a daft story about the BEATLES, with some photographs in it, and then I hope to sell it to all the nice people and then I can buy food with the money…Can’t I? I have been ill all week, feeling tired all the time. The doctor gave me a tonic which is like liquid preludin. My balls have been aching too, and banging around on stage!